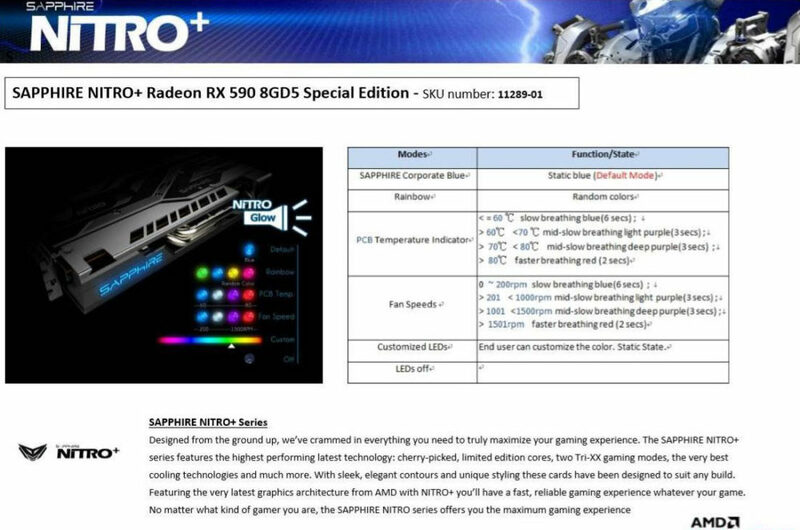 A shop listed at Newegg marketplace has leaked the full specs of the upcoming Radeon RX 590 from Sapphire. 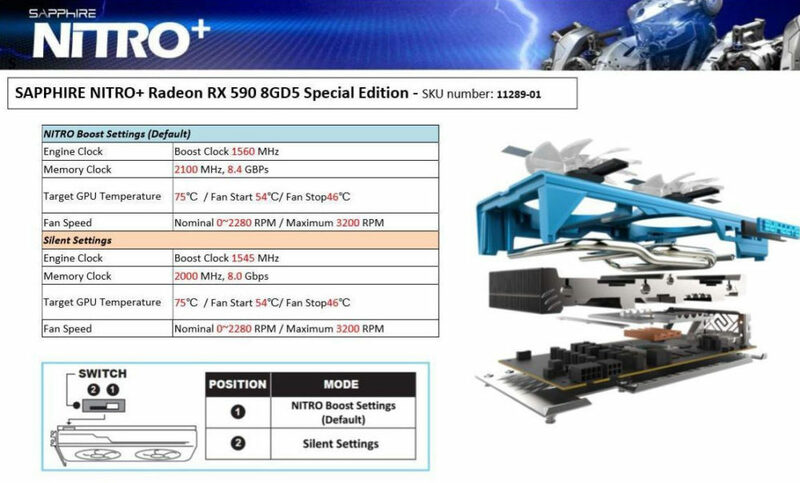 The Radeon RX 590 NITRO+ Special Edition from Sapphire will operate at 1560 MHz out of the box. 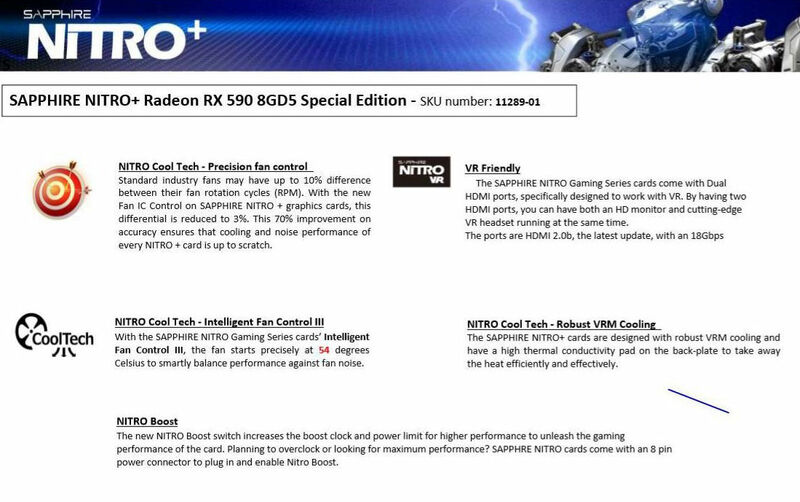 The specs sheet leaked through Newegg page has confirmed that the graphics card utilizes Polaris architecture with 2304 Stream Processors. Interestingly, the specs also mention ‘Next Gen FinFET 14 Technology’, which we believe is a typo/copypaste (it should say 12nm). 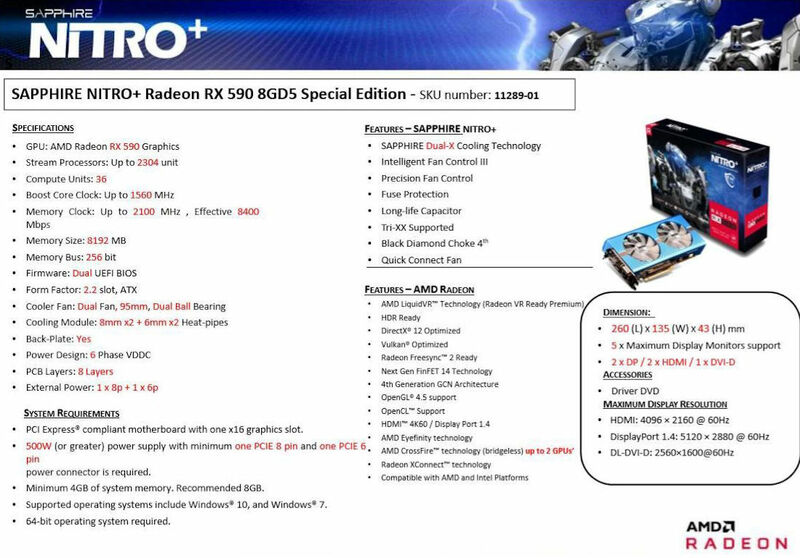 The card is listed for 500 CAD (~378 USD), and that’s after a rebate from 600 CAD (but bear in mind, the price might be a placeholder). 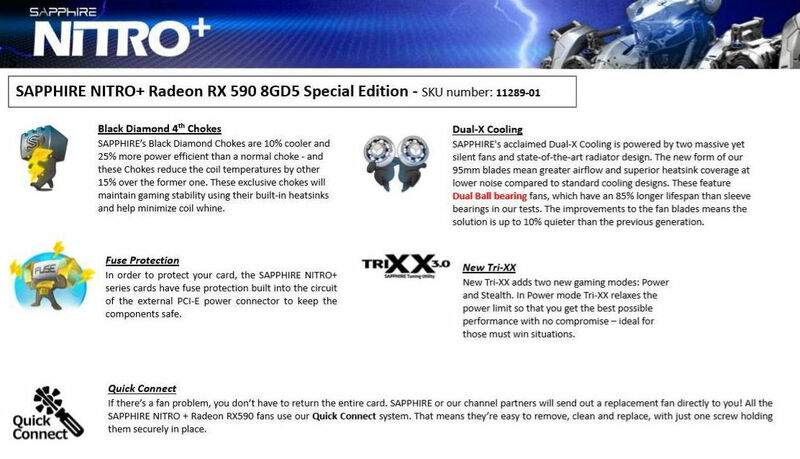 Going by the specs we also read that RX590 NITRO+ SE features 8GB of GDDR5 memory across a 256-bit bus, the same configuration as RX 580. 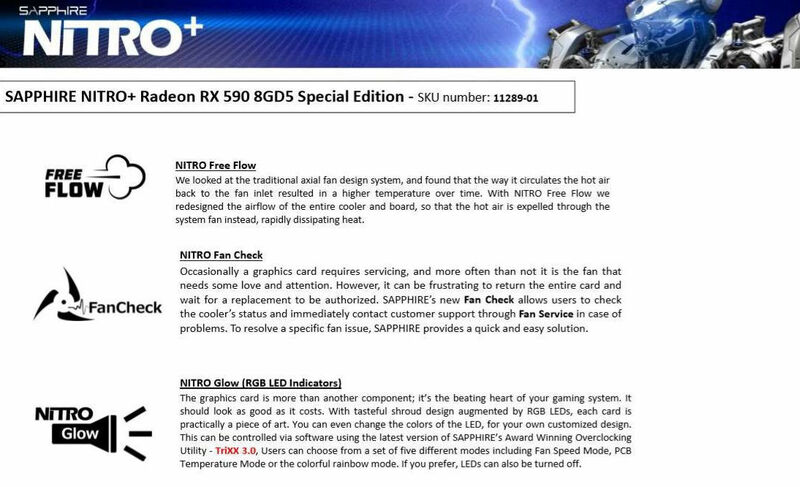 A nonstandard feature, however, is the clock of this memory, which is 8400 MHz effective.